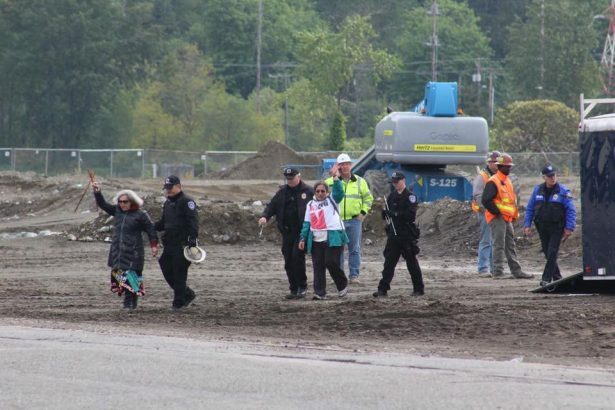 In court and in the streets, Tacoma residents and indigenous people are fighting to stop a liquefied natural gas plant that threatens their communities. Around 250 people, mostly women, carried banners and sang with drummers while marching through the streets of Tacoma, Washington, on Tuesday. Led by Cheryl Angel, an indigenous activist present at Standing Rock last year, the demonstrators headed toward a city council meeting to protest a liquefied natural gas plant project. There was just one problem — officials had locked the doors to City Hall. Demonstrators weren’t discouraged, however, as they finished their march at a nearby plaza. Washington’s oldest energy utility, Puget Sound Energy, or PSE, is behind the over $300 million facility, which is expected to be completed and operational in the port area of the Tacoma Tideflats by late 2019. The Tacoma LNG Facility, as it’s called, will be able to process and hold approximately eight million gallons of liquefied natural gas — obtained via hydraulic fracking from nearby Rocky Mountain states and parts of Canada — and is mainly intended for use by local residents, as well as ships passing by the Port of Tacoma. Since the natural gas will be in a liquefied state, it must stay in a cryogenic setting, as it is easily flammable. It is this fact that has many locals worried, particularly since another LNG facility in Plymouth, Washington exploded and left five people injured in 2014. As a result of their concerns, Tacoma residents and nearby indigenous communities have been organizing and mobilizing to stop construction of the plant for over two years. At first, they attended city council meetings to voice their opposition. They asked for environmental reviews, but were continually rebuffed, as the general excitement of local officials combined with the promise of tax breaks seemed to trump their concerns. Hanika was referring to an action that took place during the early morning hours of May 17, when six people chained themselves to a piece of machinery at the Tacoma LNG Facility site. After police were called by construction workers, 16 police cars arrived, shutting down all nearby roads. Officers then arrested the six activists, including a 79-year-old woman, and charged them with trespassing and obstruction. Their trials are set to begin in September. 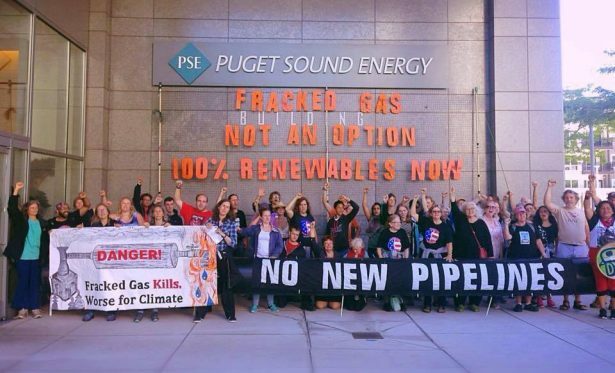 Among the arrestees — now dubbed the Tacoma Super Six — was Tacoma Direct Action co-founder Sarah Morken, who opposes the Tacoma LNG Facility because of the danger it poses to the community and environment. Her organizing efforts led her to run for a City Council seat. Although unsuccessful in her bid for local office, she received an “overwhelmingly positive” reaction from the people she met while door knocking for her campaign. 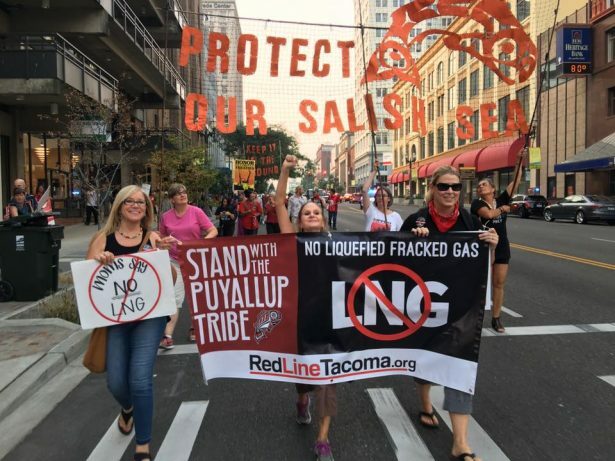 Since the May 17 plant action, opponents of the Tacoma LNG Facility have held several marches and nighttime demonstrations. While many were inspired by the protests at Standing Rock last year — with some even visiting the camps — they are also drawing motivation from another recent local victory over the fossil fuel industry. The Puyallup Tribe, an indigenous community native to the lands in the Pacific Northwest, were at the forefront of the struggle, challenging the methanol plant both in the courts and in the streets. The tribe is now among the groups challenging the Tacoma LNG Facility, since it may affect the nearby tribal marinas used for fishing. In addition to demonstrating against the plant, the tribe went to court to prevent the project from continuing. It is challenging a permit PSE received for the facility on whether construction will take place the required 200 feet from the shoreline. While PSE stresses that the LNG plant is more environmentally friendly than a diesel plant, it would — as Case pointed out — still emit carbon into the atmosphere. Tarika Powell, a senior research associate at the Seattle-based nonprofit Sightline Institute, began studying the LNG project over a year ago. Her research found problems with PSE’s LNG plant proposal, such as safety hazards, inadequate oversight and knowledge from regulators, and lack of transparency over the project. For instance, she brought up the city’s Environmental Impact Statement of the Tacoma LNG Facility. In contrast to PSE’s argument that the facility would benefit Tacoma residents, Powell said just 7 percent of its fuel would go to locals. Meanwhile, 75 percent would go to ships passing through the port. Normally the Washington Department of Ecology would oversee and permit projects like Tacoma LNG Facility. Instead, authority was given to the City of Tacoma, possibly due to a limited budget. As a result, Powell faced problems in verifying information from city regulators of the project. Last August, she sent questions to Tacoma officials overseeing the project. She is yet to receive a response. Those interviewed noted the company did not reach out in any fashion, and some even claimed to suffer harassment from PSE officials, as well as local police, during protests. According to Case, PSE has engaged in “guerrilla tactics” in an effort to intimidate its opponents. Citing an example from a demonstration several months ago, he said a woman, possibly from PSE, approached him and asked if he was Dakota Case. 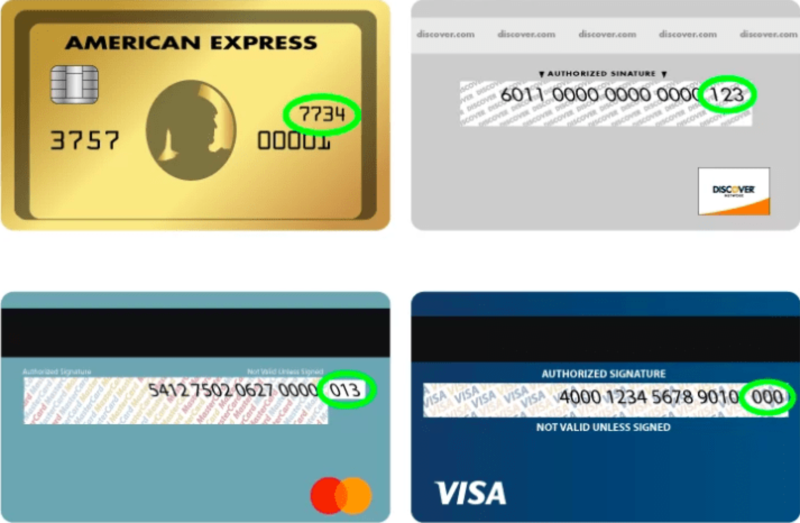 Case verified his identity and asked the woman for her name, but she declined to give any form of identification and refused to speak with any tribal representative. “That was a red flag,” Case said. Despite any efforts at intimidation, activists are determined to continue their campaigns against the plant by pressuring city officials at town meetings and organizing events such as the march that took place last week.